Structural steel is a material commonly used in the construction of large structures – specifically buildings and bridges. The composition of the material is a combination of iron, carbon, and often manganese, that is measured to a ratio that allows optimal properties taken from each material. It is also more complex than that, though, so Mundy Structural Steel have decided to utilise our industry-expertise in order to provide an insight into something that is around us at all times. What, Specifically, is Structural Steel? Structural steel is actually a broad term to describe a ‘category’ of steel that is commonly used in massive construction projects. It’s a broad term as different projects call for different specifications and ratios in their materials, which means the structural steel used in one project likely differs from the next. 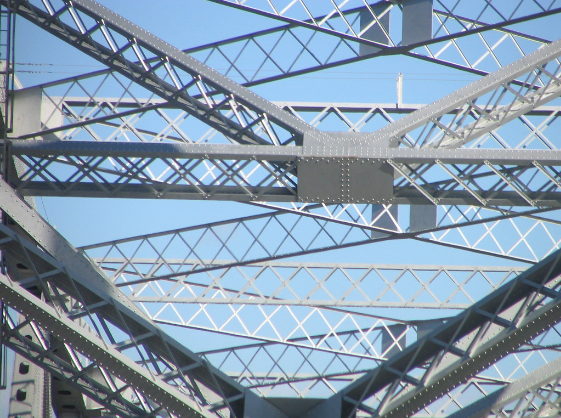 The overarching consensus is that, much like other types of steel, structural steel is comprised of iron and carbon. When creating structural steel, the manufacturers will consider the fact that more carbon can (to a degree) increase the strength by reducing the ductility. Carbon, however, is often removed from the iron ore at the beginning of the process as the natural level is too high and can leave for brittle metal. In some cases, manganese will also be included in the composition of structural steel – alongside iron and carbon, and sometimes other materials – in order to increase the malleability of the metal and reduce the likelihood of cracking or splitting during rolling. Structural steel is one of the fundamental building blocks of the construction industry, so it’s interesting to learn more about its composition and begin to consider the different measurements of materials that allow for the characteristics required for the specific project. Here at Mundy Structural Steel, we specialise in the fabrication and erection of stainless and structural steel throughout London. If you would like to hear more about what we can do for your project, please reach out by calling 0208 818 6930 or filling out our simple contact form.